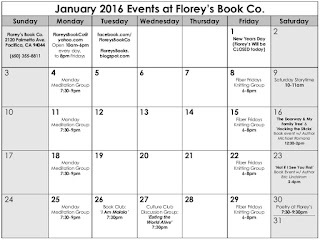 January 2016 Events at Florey's Book Co.
-"The Doorway & My Family Tree" & "Hocking the Sticks"
One book for children, and one for adults! -"Not If I See You First"
'Eating the World Alive' Global food issues! 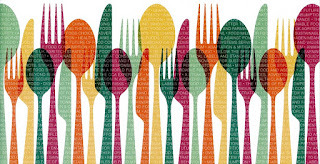 Pacifica Culture Club: 'Food Pt.1: We Are What We Eat', Dec. 30th at Florey's! So our next topic is a two-parter! It's FOOD. Yay! We get to talk about food. But there's a ton of topics within this so we'll be splitting it into two meetings. 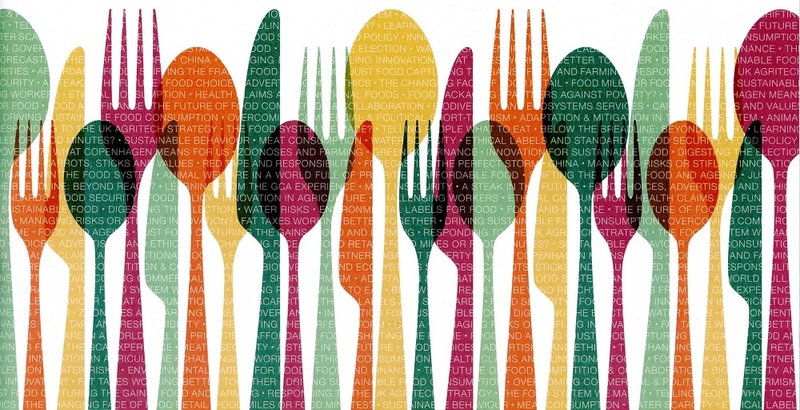 How the food we eat affects us personally. Fad diets, processed chemicals, GMOs, hormones, etc. There's so much literature and information on these topics, please share your favorites! Pacifica Book Club: 'Station Eleven', December 29th at Florey's! Join Pacifica's Book Club! 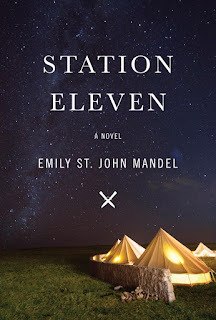 This month we'll be discussing 'Station Eleven' by Emily St. John Mandel. Get to know your neighbors and enjoy casual engaging conversation. Wine & light bites. All are welcome. 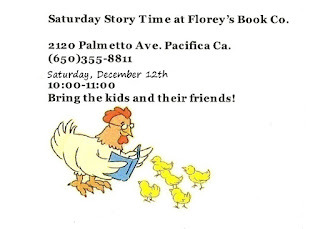 Pacifica Writers Forum, December 19th at Florey's! 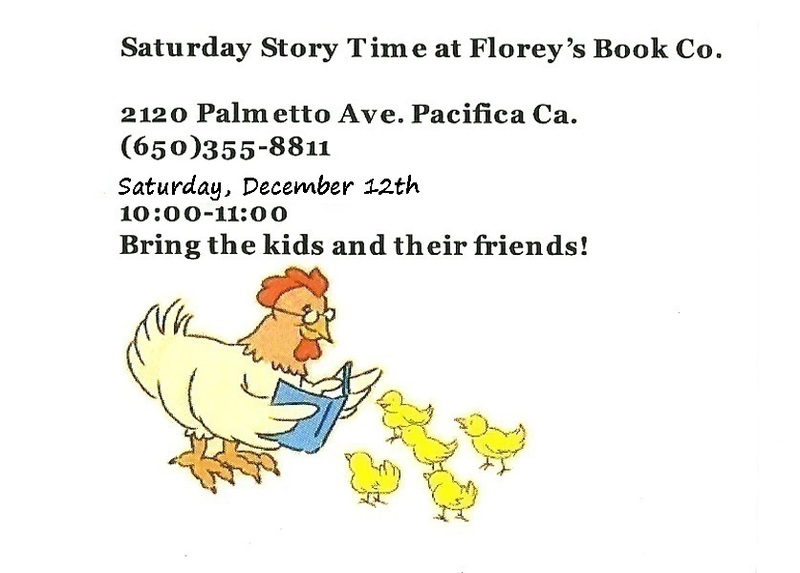 The Pacifica Writers Forum meets the third Saturday of each month. 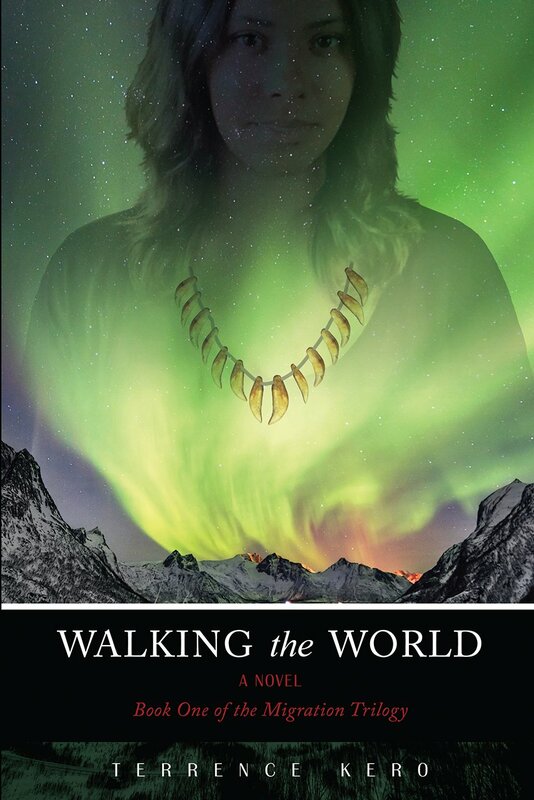 "Walking the World" Book Event with Author Terrence Kero, December 12th at Florey's! 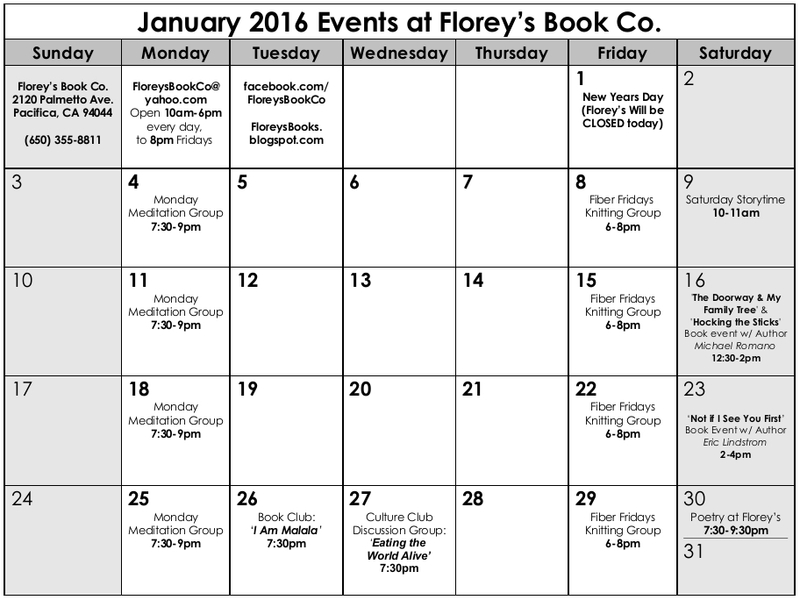 Florey's Books welcomes Pacifica author Terrence Kero as he discusses his new book, "Walking the World". 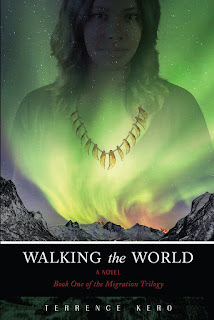 Walking the World, the first novel of Terrence Kero’s groundbreaking trilogy about human migration, tells the compelling story of prehistoric hunter-gatherers who had no crops, no domesticated animals, and no means of transportation besides their feet, people who walked and walked until they eventually populated the world. The novel opens in San Francisco in 1999, when Lisa Koskinen receives a gift from a distant relative in Finland: an odd necklace made of large canine teeth strung on a leather thong. With the help of carbon-dating and DNA analysis, Lisa and her parents gradually trace the history of the necklace and their family back to their earliest origins. Alternating between the present day and flashbacks to the bloody, dramatic first migration to Finland, Walking the World will have you living through heartbreaking struggles, intense romances, life-and-death encounters, crimes of passion, violent deaths, joyous births—all the tragedies and triumphs of the Koskinen clan from the dawn of time to the current day. Terrence Kero is an electronic engineer who holds patents in computerized speech recognition and high-speed data networks. His journey from engineer to author began with an interest in tracing his Finnish-American family’s roots, a journey that eventually took him back to the earliest history of human migration. Walking the World is based on more than ten years of his research in anthropology and human genetics, and on his own travels along many of the rivers, mountain ranges, and other migration routes he describes in his novel. He has been a guest lecturer at Stanford and UC Berkeley, among other universities. Born in Moose Lake, Minnesota, he currently lives in Pacifica, California, a suburb of San Francisco, with his wife, Takoma. 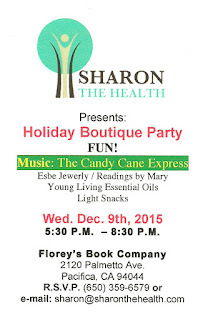 Sharon the Health Holiday Gift Boutique Party, Wednesday, Dec.9th ! 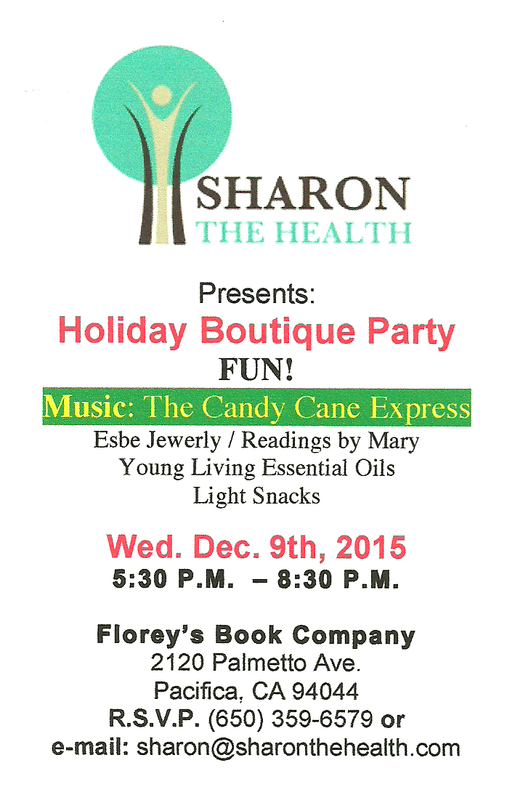 Florey's welcomes you to a Holiday Boutique Party, hosted by Sharon Caren of Sharon the Health. Come and experience Essential Oils first hand and learn how to use them. We are here to help you try something new and natural.